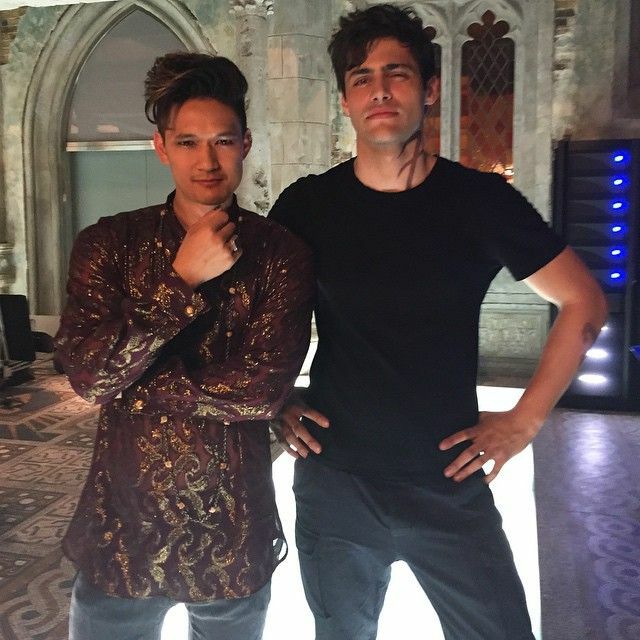 'Shadowhunters' on set. . Wallpaper and background images in the Alec & Magnus club tagged: shadowhunters the mortal instruments malec alec lightwood magnus bane matthew daddario harry shum jr on set. This Alec & Magnus photo might contain 身なりの人, スーツ, パンツスーツ, よく服を着た人, パンツ スーツ, スーツ, ビジネス スーツ, 上着, overclothes, アウターウェア, オーバーキャップ, and アウター.